We wish to highlight for your readers, the complex nature of human mental health, its occasional interface with pet care, and the potential implications for veterinarians and veterinary staff. Here, we describe a rare case involving an emotionally disturbed client, referred to as ‘Ms A’, and the effects on her dog. Ms A, a woman in her 60’s who lived on her own, attended a veterinary practice at least once a month and often every week, over a period of ten years. It was suspected that Mrs. A’s pattern of excessive veterinary visits with her dog was largely a means to gain attention from staff. She was not confronted with this suspicion and she presumably felt no need to attend other veterinary practices in the area (‘veterinary shopping’). It was evident that she had a powerful attachment to her dog. During many visits, there was never any clinical evidence that anything was wrong with the dog, yet the client would frequently state the dog was ‘at death’s door’. After some time, the dog did show mild inflammatory bowel disease on colonoscopy and duodenoscopy, and the pet was managed through a recommended diet. There was no direct evidence to suggest purposefully inflicted or fabricated injury or illness, but the spectre of possible medical abuse was noted. At the age of ten, the dog developed a serious condition and, while being examined he had a cardiac arrest and the client was informed that resuscitation had been unsuccessful. Ms A immediately went home and took her own life. The staff at the veterinary practice were deeply saddened when they heard the news – clearly, Ms A saw her dog as an extension of herself. 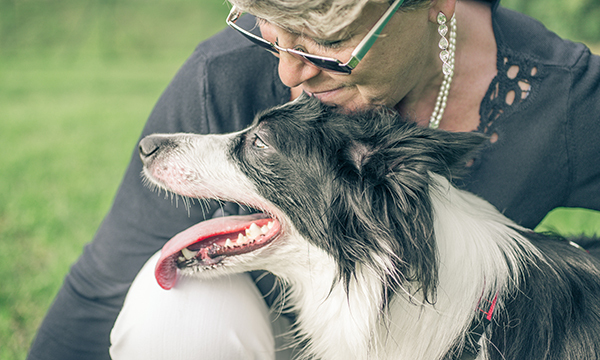 Despite increases in research and mental health guidance over recent years, the difficulties faced by veterinarians in such situations require further collaboration with the human mental health sector.